Sometimes, sudden success at different stages of even the most carefully planned project can come as a surprise, even to the organizers themselves. 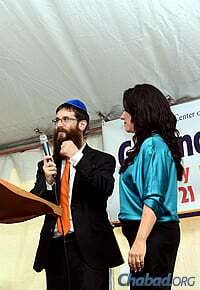 Take, for instance, finding a prime new site for a Chabad center, coupled with great community support for the project. 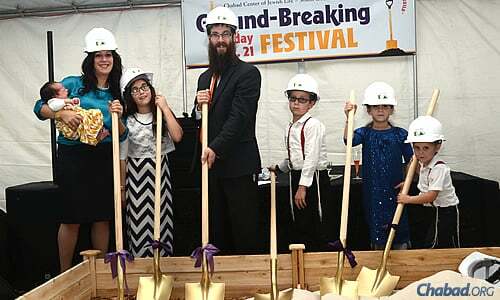 “It’s tremendous!” declares Rabbi Yosef Konikov, co-director of Chabad of South Orlando with his wife, Chani, about what they call the “perfect” location of Chabad of South Orlando’s soon-to-be built new facility in one of America’s most popular vacation spots. Last month’s groundbreaking event celebrating the coming together of a number of positive factors drew more than 300 people from the community and throughout Orlando, including Teresa Jacobs, the mayor of Orange County, Fla.; local law-enforcement representatives, including Orange County sheriff Jerry Demings; and area dignitaries. A proclamation by the mayor of Orlando, Buddy Dyer, was also read aloud. 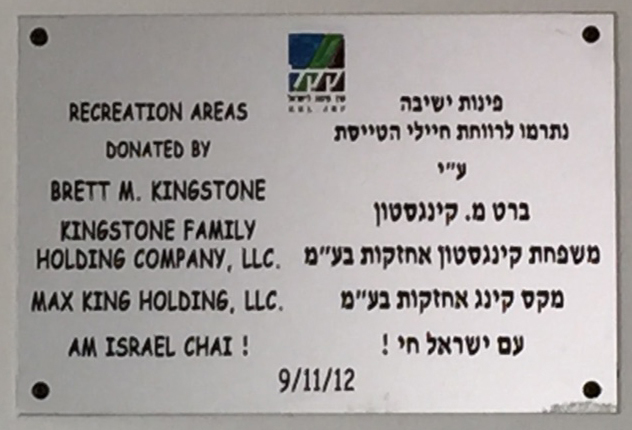 “We dove right into this,” Konikov says about the site search, fundraising efforts and architectural plans for a new 11,000-square-foot facility, which will include a synagogue, social hall, administrative space, and, perhaps most important of all, the Chai Jewish Preschool and the Orlando Jewish Day School, both run by Chabad. 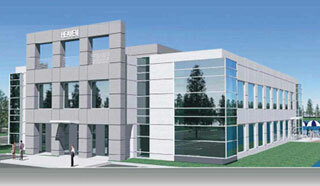 The new building will be more than double the size of the space at Chabad of South Orlando’s current location on Tamarind Circle. 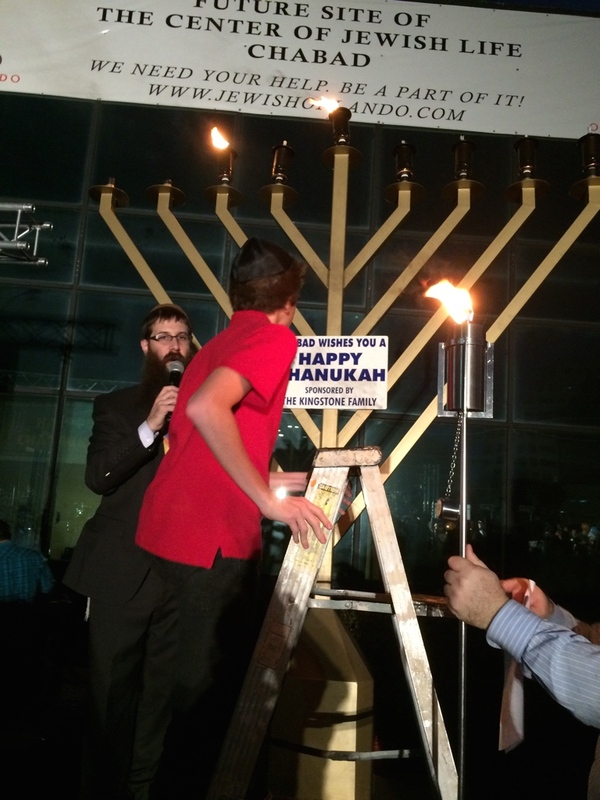 The rabbi notes that 53 million visitors come through the Orlando area each year—as many as, if not more than, the number of annual visitors to New York City. 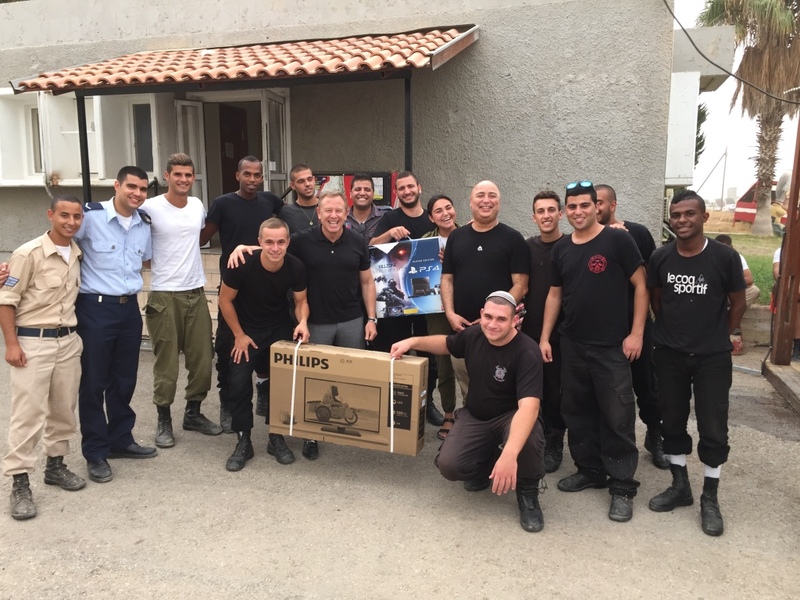 “The amount of people who interact with Chabad here is really amazing. I meet people from nearly every single country around the world all the time,” he says. The Konikovs moved to Orlando in 2000 from the Crown Heights neighborhood of Brooklyn, N.Y. She is originally from Bologna, Italy; he is from Worcester, Mass., and Englewood, N.J. They recently had their seventh child. About 40 guests attend Shabbat dinner any given week, mostly locals, but during the busiest time of the year—December, for example, when the snowbirds arrive and families with children to visit the tourist attractions—that number can jump to more than 150. 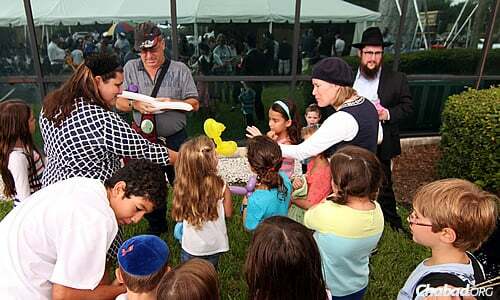 The Orlando area also has a Chabad of Greater Orlando on the north side in Maitland, Fla.; Chabad-Lubavitch of North Orlando in Lake Mary, Fla.; and Chabad at the University of Central Florida in Oviedo, Fla.
Activities for children, including balloon-making, were on hand at the event. 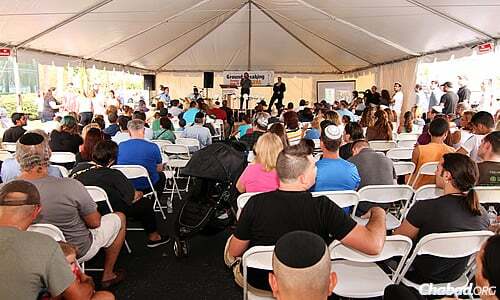 (Photo: Sonacity Productions)The new location of Chabad of South Orlando is on a strip called “Restaurant Row,” off the famous International Drive, which connects major theme parks, hotels, retail and outlet shopping, and the Orange County Convention Center, the second-largest convention center in the United States (topped only by Chicago’s McCormick Place), offering 7 million square feet of space. 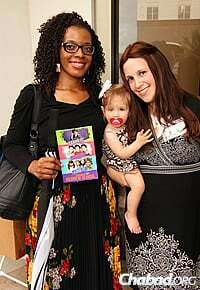 Raina Sinberg moved to Orlando with her husband, Scott, and daughter, Maya, from New York five years ago; Maya is currently a second-grader at the Orlando Jewish Day School. She says Chabad and the day school have grown in just the short time she has been there. The educational institution enrolls students in kindergarten through third grade, with another grade added each year, according to Konikov. The elementary school grew out of Chai Preschool, which opened in 2009. 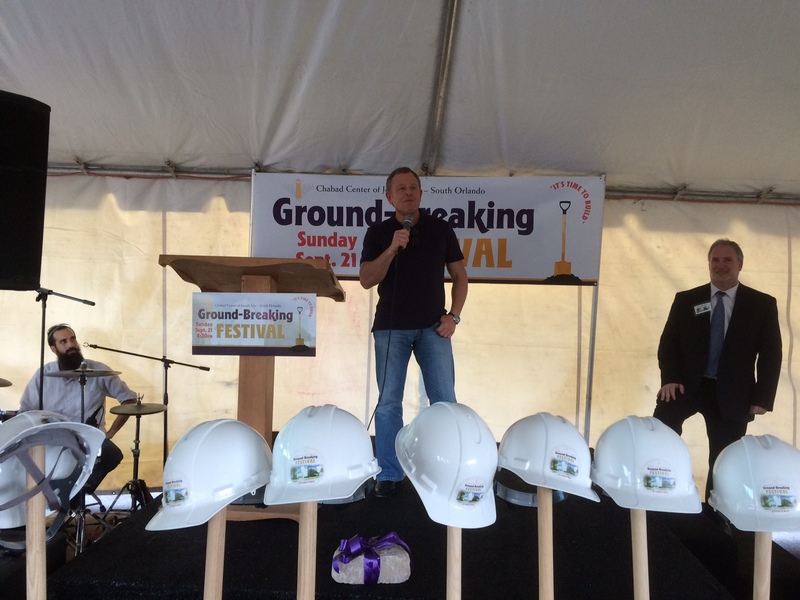 “I’m very excited about having the new building—for the school and for events, and just a place to house and host everything,” says Sinberg. Ken Goldman of Teaneck, N.J., would certainly agree with that notion. He travels with his family twice a year to Miami for business and then heads north to relax a bit in Orlando. Goldman fondly remembers his first Shabbat with the Konikovs five years ago. That encounter has grown into a strong and solid relationship.